ISM’s Quick Ship program allows partners to order and receive the most popular products on-time with lightning fast turnaround. Enjoy same day shipping and complimentary delivery charges within Australia for these select ISM products. Wink table lamp is available in five fun colours - gloss black, gloss white, signal orange, quartz grey and marine. 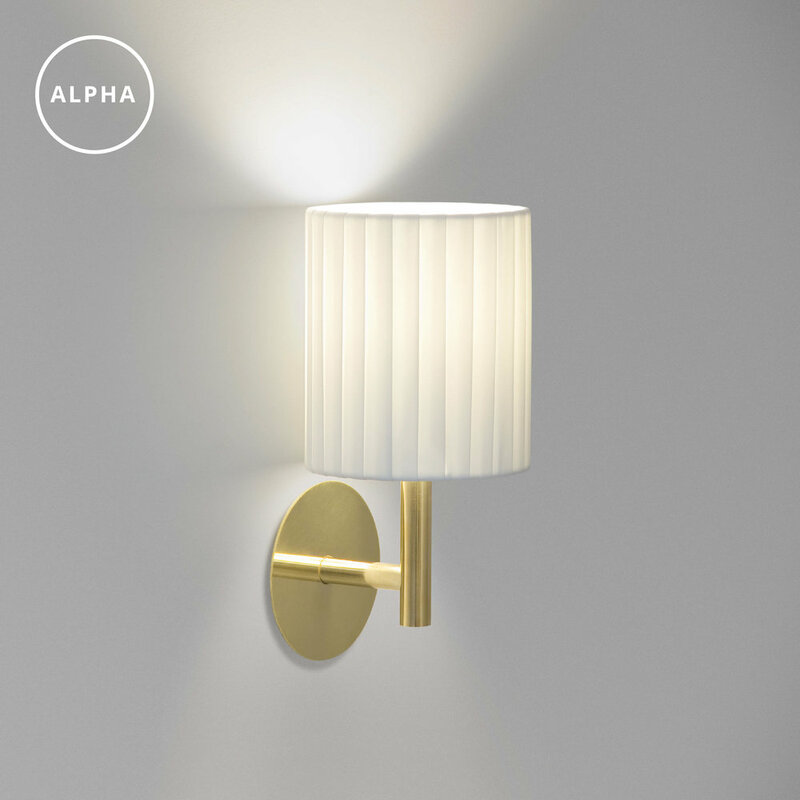 The optional reflector allows more control of the glowing LED lamp and is available in a choice of white or polished brass. Each lamp is supplied with a 6W LED frost lamp. Constructed from sturdy steel and spun metal Loft features a matt black finish with brass elements. There are 2 size options; small extending 415mm and large extending 705mm including the lamp. Both options come with a lead, cordline switch and plug. The lamp is a 6W clear vintage style LED. 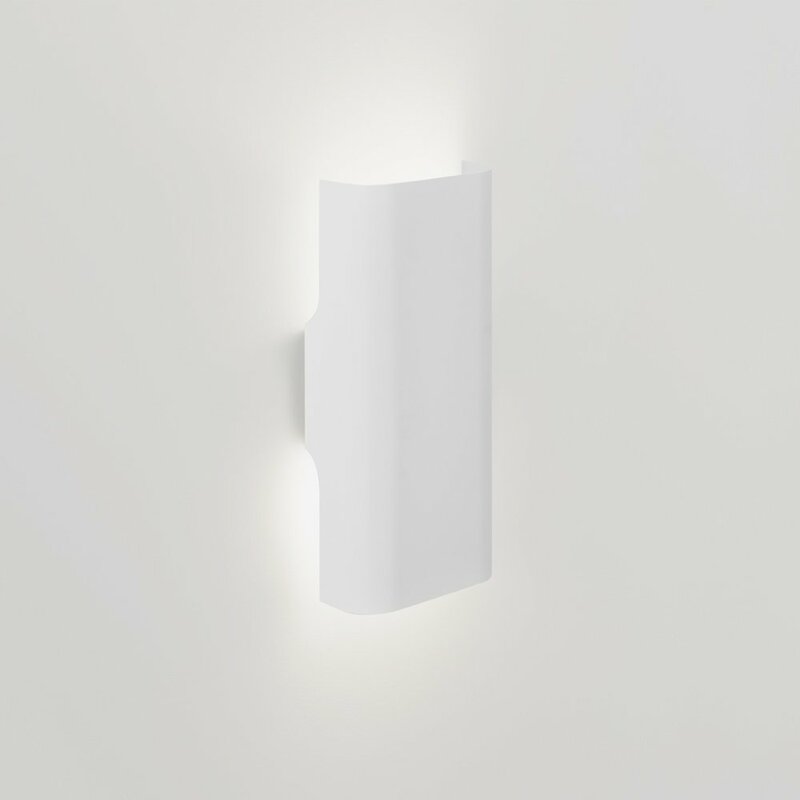 The wall lamp has a steel bracket with matching powdercoat shade in a choice of gloss white or textured black. 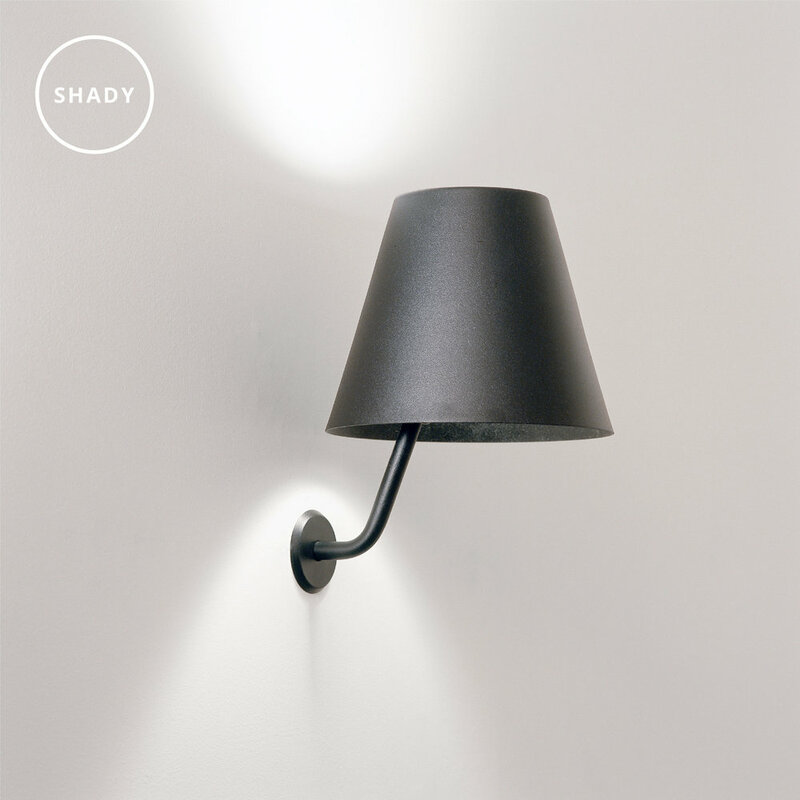 Shady Wall lamp is supplied with a 9W frost LED lamp. Paring a lamp source back to its most basic this wall light makes the spherical ball lamp the star. The wall canopy and shield come in a choice of black or gold anodised finish complete with a 6W frost G95 LED lamp. The lampshade comes in a soft pleat wrapped fabric in a choice of black or white. Each light comes with a 6W dimmable frost fancy round LED lamp. Designed by Keith Melbourne the ‘I Do…’ range comprises a collection of beautiful empty shells that are mysteriously illuminated, reflecting light out into the environment. The ‘I Do…’ Small Wall Up Lamp is a rounded square section with a finish in a choice of flat black or flat white. The lamp source supplied is a 9W LED frost lamp. 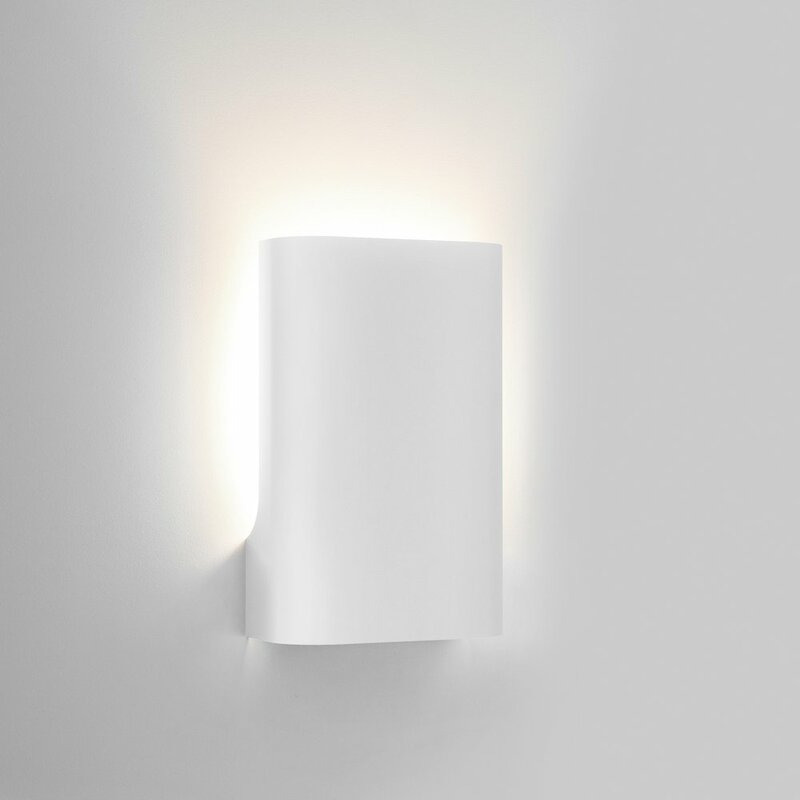 The ‘I Do…’ Large Wall Up Lamp is a rounded square section with a finish in a choice of flat black or flat white. The ‘I Do…’ Small Wall Up Down Lamp is a rounded square section with a finish with a finish in a choice of flat black or flat white. The lamp source supplied is two 9W LED frost lamps. The ‘I Do…’ Large Wall Up Down Lamp is a rounded square section with a finish in a choice of flat black or flat white. Paring a lamp source back to its most basic this pendant makes the spherical ball lamp the star. The lamp source is a 6W spherical LED frosted ball. The ceiling canopy and shield come in a choice of black or gold anodised finish. This elegantly formed pendant light rotates on a single axis to produce a beam of light in any desired direction. Created by German design duo Zinke|Carpenter the prototype lamp was first shown at the Salon Satellite show at the Milan Fair. ISM licensed and developed IRO as a simple slip - cast stoneware shade with a glazed finish. 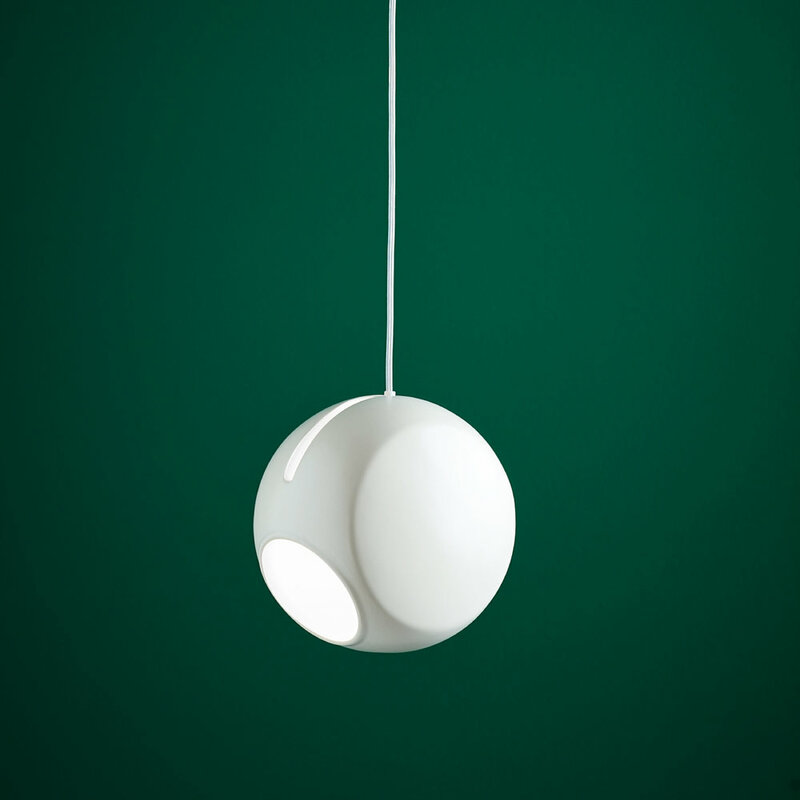 Available in natural white glaze and clear cable suspension IRO is supplied with a 6W LED frost fancy round lamp. Designed in Germany, made in Australia.